Houston tenants at Crestmont Village Apartments struggle against eviction | Fight Back! 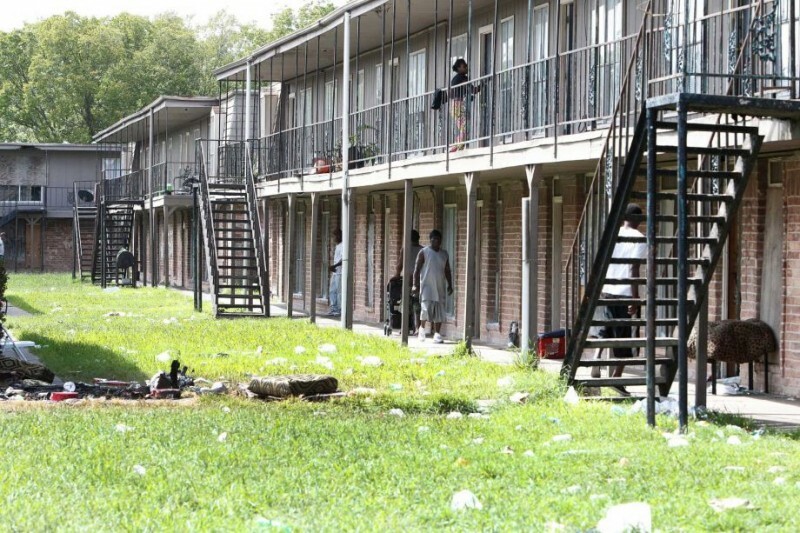 Houston, TX - In Sunnyside, a predominantly African American neighborhood in southeast Houston, a local slumlord has taken action against his tenants at Crestmont Village Apartments, evicting them and turning off their power. For years, the landlord did not take care of the apartment units and so the apartments have become infested with cockroaches and mold, posing health risks. Instead of maintaining the apartments, the slumlord is closing them and trying to kick out all the tenants. The tenants have been left in grueling conditions, without the basic necessities to live. Since their electricity was shut off, families were left without the ability to store or prepare food, and therefore many of them went hungry. They face continual police harassment, and have been told that they have to leave by the 8th of October, or they will be arrested. While the city is helping some families relocate and has provided some relief, most of the families will have nowhere to go once they are evicted. The city’s response, overall, has been poor and slow. As a result of these deplorable conditions, a number of organizations, including the National Black United Front (NBUF), the People’s New Black Panther Party, Out of the Flames of Ferguson and other local activists have come out in support of the tenants. NBUF held a BBQ on Sept. 24, and many of the activists have been making daily trips with food, water, toiletries and other supplies. When we visited the apartments, the tenants had not eaten all day and children were jumping with joy at the presence of food. 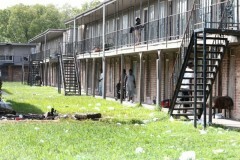 One resident said, “In the evening, the police become more aggressive and harass the residents. While the power was turned back on this morning, we were left without electricity for two weeks, and the landlord has made continual threats to have the power shut off again.” Although it is September, this is still one of the hottest times of the year, and one of the warmest summers on record, making life without AC absolutely miserable.